﻿ News Bharati - What's in the bag here for Ministries..? News Bharati - What's in the bag here for Ministries..? What's in the bag here for Ministries..? 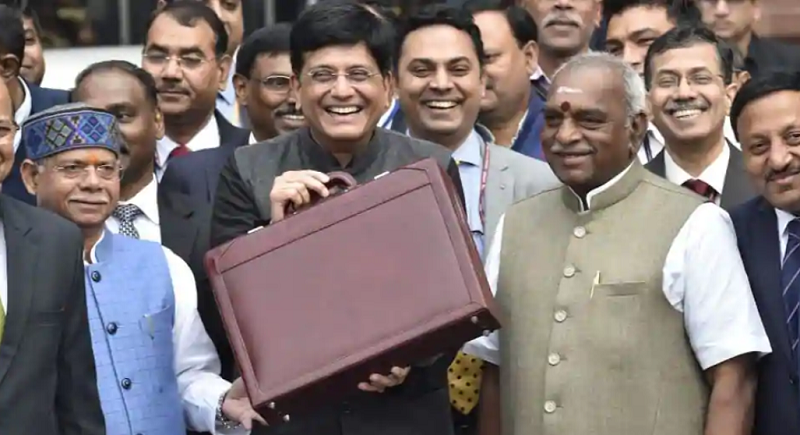 New Delhi, February 1: Covering every nook and corner of the nation, society and profession, the acting Finance Minister Piyush Goyal has set an example of ideal budget in the nation’s palate. It is very well usually stated that a budget should be balanced not by more taxes but by reduction of follies. The government in reign has put on this phrase into reality, striving to make the national working transparent, a ‘New India’. Placing a sharp focus on protection and empowerment of women and children, the overall budget of the Ministry has been increased by Rs.4856 crores which is almost 20% higher than the previous year. It may be recalled that the budget for 2018-19 was itself increased by 12% from the previous year. However, the total budget provision for the WCD Ministry for 2019-20 stands at Rs.29165 crores. “The increase in funds will help the Ministry to vigorously fight malnutrition and provide more efficient facilities for protection of women and children”, said Maneka Gandhi. She also stated that she will be preparing a road map for the next five years of Ministry wherein integrated large facilities will be established for women and children in need of care and protection across the country. “India's import dependence on crude oil and natural gas has been a source of big concern to our Government. While we have taken a large number of measures to moderate the increasing demand through usage of bio fuel and alternate technologies, urgent action is needed to increase hydrocarbon production to reduce imports”, said FM Piyush Goyal while presenting the Interim Budget. The Budget has provided Rs. 37,478 crore as Petroleum subsidy in 2019-20 estimates as compared to Rs. 24,933 crore provided in the estimates of FY 2018-19. The Government also is in the process of implementing the recommendations of high level Inter-Ministerial Committee that has made several specific recommendations regarding the exploration in the Petroleum and Gas sector. This is for the first time in the allocation for the Ministry of Home Affairs (MHA) in the Budget that it has exceeded Rs 1 lakh crores at gross. The MHA has been allocated Rs 1,03,927 crores, the amount being Rs 10,477 crore more than that allocated in the last year. As per the revised estimates reported by the ministry for 2018-19, the MHA expenditure has been pegged at 99,034 crores. “The Budget is a very balanced one which will benefit the economy as a whole while ensuring that the Gaon, Gareeb and Kisan get their due share. It is a Sabka Saath Sabka Vikaas Budget which has provision for betterment of all sectors of the economy with a special focus on the social sector and this has been the focus of the PM Narendra Modi led government”, said Ram Vilas Paswan lauding the budget presentation on Friday. Paswan emphasised that the Budget will also enormously benefit the SC/ST communities. He said that there has been a drastic improvement in the allocation for Schedule Castes and Schedule Tribes with an increase of 35% and 28% for both respectively. Elaborating the seventh dimension of the government’s vision for the next decade, it aims at the Outer Skies along with the other developments. “Our space programme – Gaganyaan, India becoming the launch-pad of satellites for the World and placing an Indian astronaut into space by 2022 reflect this dimension of our vision”, the Minister said while addressing the house. The estimates relating to the space technology for FY 2019-20 measure to be Rs 7483 crores and the same for space applications amount to Rs 1885 crores. The revised estimated meanwhile for the duo were Rs 6993 crores and Rs 1595 crores respectively. The Government has taken several measures to strengthen the Medium, Small and Micro Enterprises. An all-time high allocation of Rs.7011.29 crore has been made in the Budget of 2019-20. For ensuring seamless credit guarantee to Micro and Small enterprises, Rs.597 crore has been provided under the Credit Support Programme. Further to provide funding for the 2% interest rebate on incremental loan up to Rs.1 Crore for GST-registered MSME units, Rs. 350 crore has been provided under ‘Interest Subvention Scheme for Incremental Credit to MSMEs. With a view to set up clusters in the manufacturing and artisan sectors, Rs.450 crore has been allocated by the government. Allocation under National SCST-Hub has been increased substantially.